Gainesville, Fla. – The College of Education at the University of Florida reclaimed its place as the nation’s best online graduate education degree program, according to the most recent annual rankings released by U.S. News and World Report magazine. UF tied with Clemson University for the No. 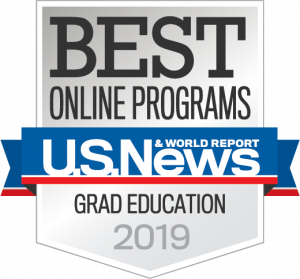 1 spot in the 2019 rankings of America’s Best Online Graduate Education Programs following three consecutive years in the top two – securing No. 1 in 2015 and 2016 and No. 2 in 2017. UF remains the highest ranked education college within the state in both online and on-campus graduate degree programs. U.S. News says 299 institutions across the nation were surveyed to compile the rankings, with ratings determined based on five weighted factors – engagement (30 percent), services and technologies (20 percent), expert opinion (20 percent), student excellence (15 percent) and faculty credentials and training (15 percent). The rankings formula was adjusted from previous years to weight more heavily on expert opinion further emphasizing the value of the peer assessment survey of high-ranking academic officials in recognizing the quality of fellow online graduate education programs. As we continue to steadily stand in the upper echelon of online programs in the country, the College of Education is committed to enhancing online courses to provide students the most enriching learning experiences available. We consistently strive for advancements in our online curriculums, and our instructional design team works one-on-one with faculty to ensure the quality of face-to-face instruction effectively translates to the online format. We seek new, innovative tools and methods to integrate in our online curriculums that will further cultivate student collaboration, improve course delivery and drive student engagement. Zoom, a video conferencing software that offers live video and messaging to up to 500 participants, has been a powerful device in connecting students from across the globe and fostering active learning. Faculty have begun implementing discussion forums and group projects among graduate courses, much like what is offered in traditional classrooms. Online students are as diverse in their backgrounds as they are in their experiences. In facilitating more group-centric tasks in online curriculums, faculty and instructional designers have also begun piloting a student inventory to assist online instructors in assigning beneficial, balanced groups that lead to overall student success and satisfaction. While some students may be second-language learners, others may have little to no practice with group collaboration. Identifying students based on their level of experience and comfortability with group work serves as a great guide in determining students who are already team oriented and those that may benefit from assistance in developing those skills. To further adapt online courses to foster collaboration, faculty are utilizing Perusall, an online platform that hosts textbooks, articles and PDFs, to foster asynchronous engagement among students. The platform offers students the ability to annotate, comment and question readings within a single text while simultaneously interacting with one another’s findings. Moreover, scaffolding learning techniques have been implemented into the design of some course videos to drive student success. Through the use of a tablet in recording the lectures to demonstrate the application of formulas and concepts, students have gained a deeper understanding of course materials. Moreover, videos have been chunked to between four- and 10-minute segments to make lectures more digestible and easier to review. The UF College of Education offers nine distance learning graduate degree programs designed to advance the practice of working teachers and school administrators across the nation and beyond. While our rankings remain steadfast, our potential to revolutionize education remains boundless. Together, we are number oneToday U.S. News and World Report announced the 2019 #BestOnlinePrograms and we’re No. 1! To learn more about College of Education online programs, visit: Online.Education.ufl.edu.